What puts me at risk for heart disease? The American Heart Association tracks seven main health factors that increase the risk of heart disease, stroke, and other cardiovascular diseases. Additionally, a family history of heart disease and advancing age increase heart disease risk. For women, the risk increases after menopause as a result of loss of estrogen in the body. Finally, women who experienced preeclampsia during pregnancy also face an elevated risk. How can I keep my cardiovascular system healthy? Get at least 150 minutes of moderate exercise, 75 minutes of vigorous exercise, or a combination of the two each week. To lower blood pressure and cholesterol, aim for 40 minutes of moderate to vigorous exercise 3–4 times per week. Maintain a healthy weight by not consuming more calories than you burn. If you’re not sure how many calories you need, Healthline provides a list of helpful calorie-counting apps. Eat a variety of nutrient-rich foods, especially fruits and vegetables, whole grains, low-fat dairy, skinless poultry and fish, nuts, legumes, and non-tropical vegetable oils. Limit intake of saturated and trans fats, sugar, sodium, and red meat. Limit alcohol intake to one drink per day for women and two drinks per day for men. How can I learn more about my cardiovascular risk? Cardiac calcium scoring uses a CT exam to determine the presence and extent calcified plaque, which can cause narrowing or blockages of the coronary arteries. The degree of calcification found is expressed as a calcium score, which indicates a patient’s risk of heart attack. A score of 0 indicates no evidence of coronary artery disease (CAD) and a very low risk of heart attack. Scores of 11–100 indicate mild CAD and a moderate heart attack risk, and scores over 400 indicate extensive CAD and high risk. 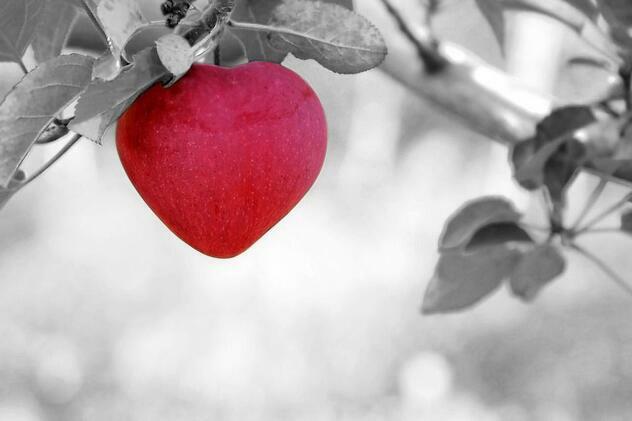 Recent research indicates that cardiac calcium scoring could have additional benefits. A 2016 study by John Hopskins Medicine found that a high cardiac calcium score is also correlated with an increased risk of cancer, COPD, and chronic kidney disease as well as heart and cardiovascular disease. So, knowing your cardiac calcium score can potentially give you insight into multiple aspects of your health and indicate if you should take measures to improve them. Iowa Radiology provides CT cardiac calcium scoring at our Clive and downtown Des Moines clinics with a physician’s referral. During the months of February and March, we're offering this test for only $69. We’ll send the results to your physician, who should discuss the results with you and create a plan of action for maintaining optimal heart health. For more information about the procedure, see our article, "What Are the Benefits of Cardiac Calcium Scoring?" 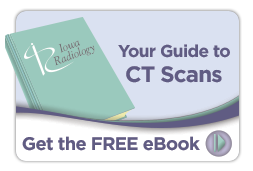 For information about CT scanning in general, click the link below to access our free ebook. "February is American Heart Month." Heart.org. American Heart Association, 1 Feb 2017. Accessed 16 Jan 2018. "Heart Disease and Stroke Statistics—At-a-Glance." Heart.org. American Heart Association & American Stroke Association, 17 Dec 2014. Accessed 16 Jan 2018. "Lower Heart Disease Risk—What Are the Risk Factors for Heart Disease?" National Institutes of Health, 29 Aug 2003. Accessed 16 Jan 2018. "The American Heart Association's Diet and Lifestyle Recommendations." Heart.org. American Heart Association, 27 May 2017. Accessed 16 Jan 2018. "Cardiac CT for Calcium Scoring." Radiologyinfo.org. Radiological Society of North America, 20 March 2017. Accessed 16 Jan 2018. Johns Hopskins Medicine. "High coronary calcium score may signal increased risk of cancer, kidney and lung disease." ScienceDaily, 9 March 2016. Accessed 16 Jan 2018.